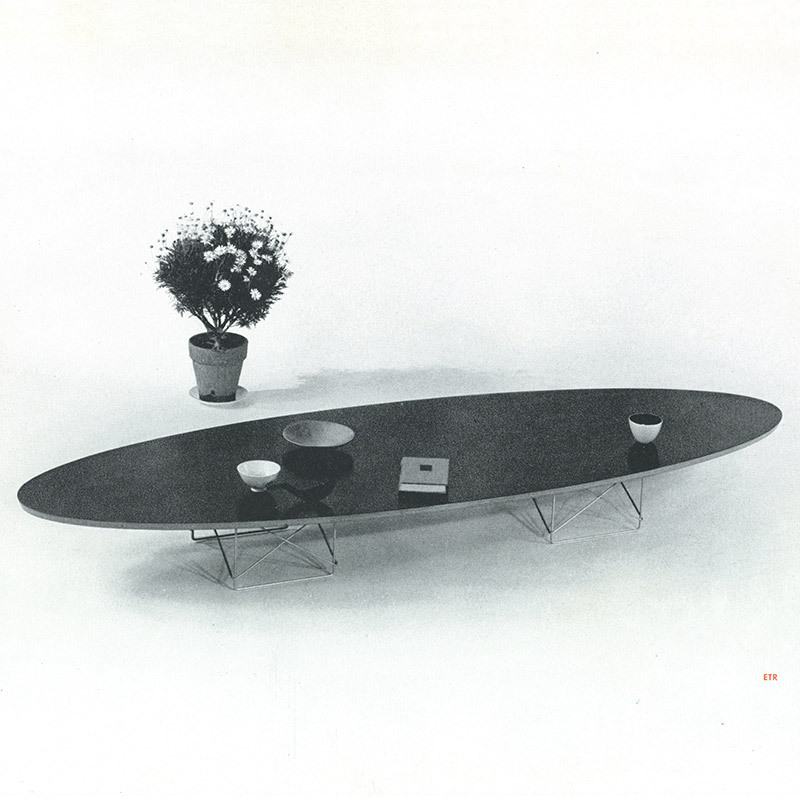 What was the Eames ETR table? 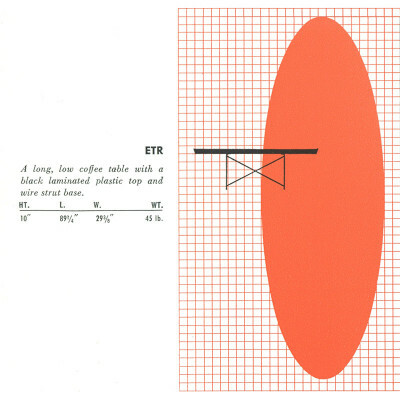 Released in 1951, ETR was the abbreviated name of the Elliptical (E) Table (T) on a Rod (R) base. It was the follow up and sister table to the LTR which had been released a year previous. Like the LTR, the Eames ETR table stood very low and had a very distinctive shape which helped coin the alternative name of the Eames 'Surfboard' table. 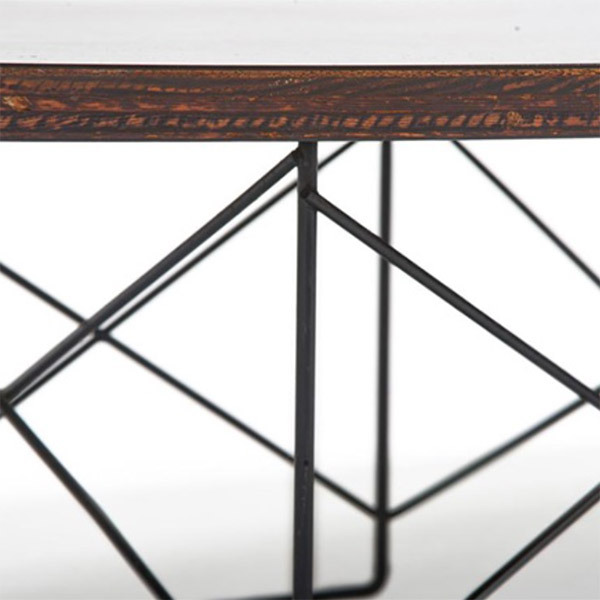 The Eames ETR table was part of the new wave of furniture started in the early 1950's that moved away from the look and feel of the all wood designs of the past, including the Eames own plywood chairs and tables. Still constructed of 5 layers of ply, the top was coated in a black Micarta and the base was constructed of two separate rectangular sections built from bent wire, resistance welded together. For a coffee table the Eames ETR was very long and it required a space big enough to be able to accommodate it. 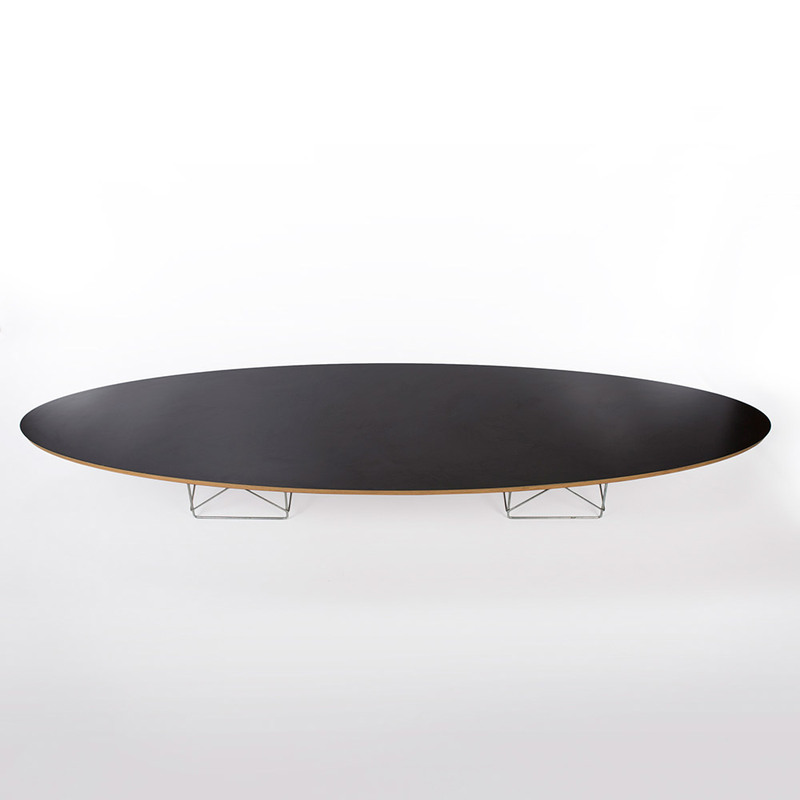 At only ten inches, the table was also built very low and the rod bases on which it stood were available in either zinc plate or black powder coated finish. 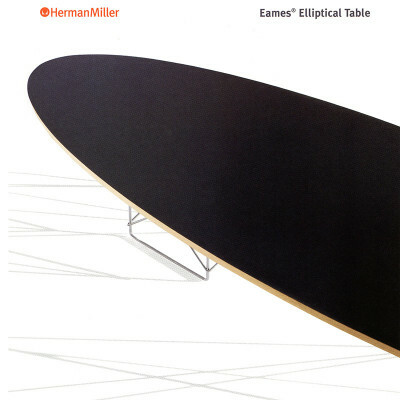 The Eames 'surfboard' table would be sold until 1964 when it was discontinued but it was part of Herman Miller's relaunch of classic Eames pieces in 1994. 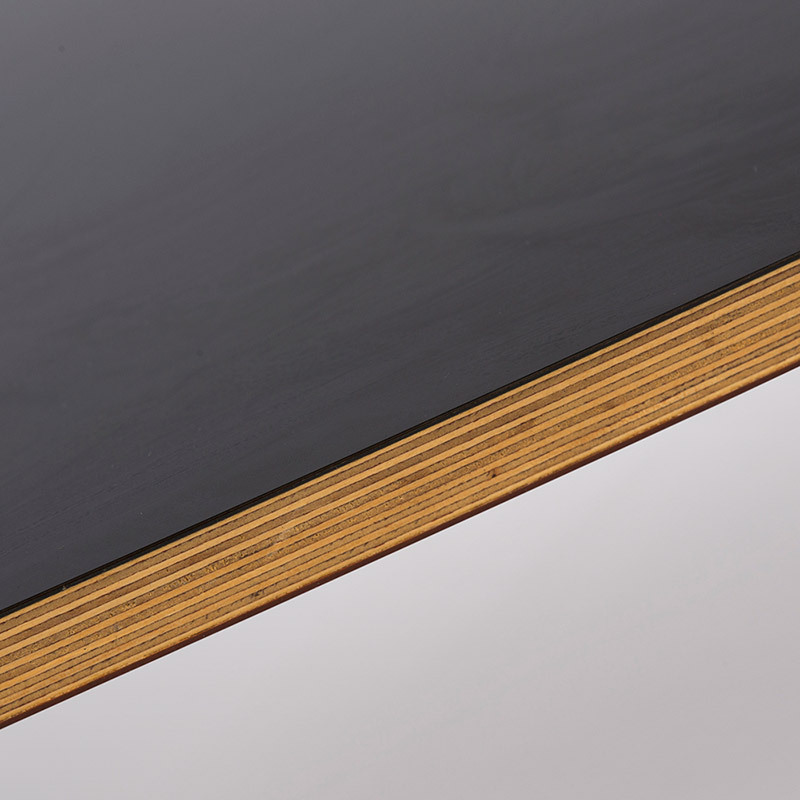 Unlike other plywood tables such as the DTM or LTR, the ETR was never made available in natural veneer finishes, only the black laminate during the first period. The post 1994 re-release would see Herman Miller make the ETR available for the first time in a white laminated finish alongside the original black. 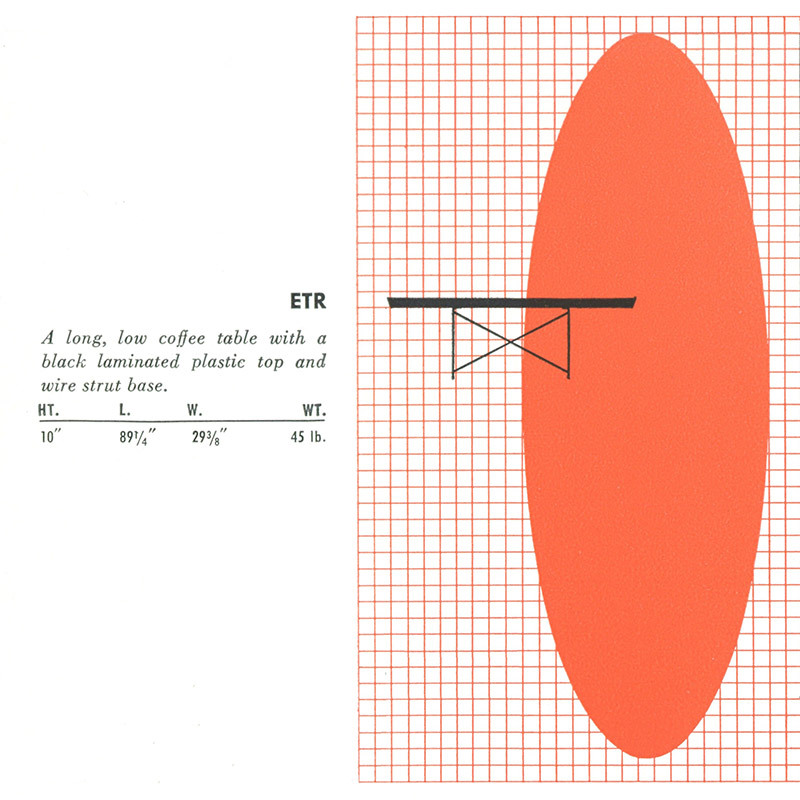 Such is the popularity of the ETR that it still remains on the catalog today. 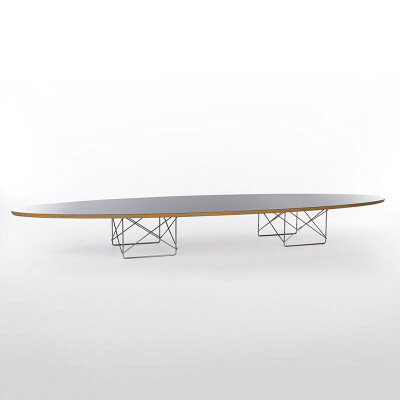 What were the original sizes of the Eames ETR Table? 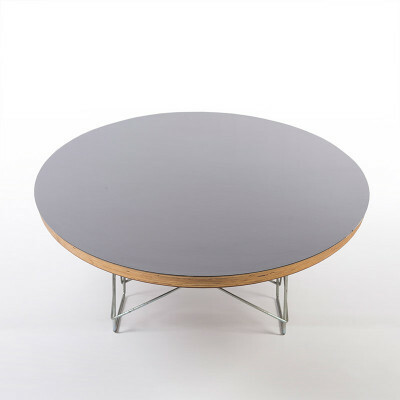 The first generation of ETR tables were made from 1951 through till 1964 where they were discontinued. The first generation is easily spotted by looking at the layers of plywood in its construction. There are 5 'chunky' layers which are especially thick in the center sections. The first generations were only made with black laminate plastic finishes, there were no other colors or wood options available. The base may be zinc plated or black and the first generation may have a number of label possibilities, foil strip, half label or either of the medallions. 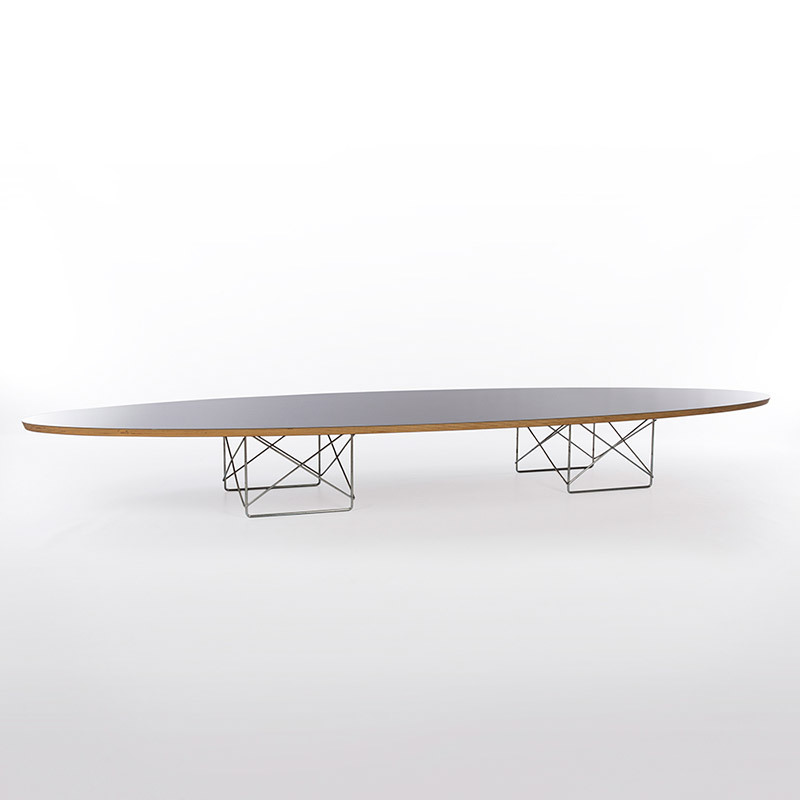 The second generation of the Eames ETR table is very easy to see by looking at the edge and layers of ply. There are 7 layers which can look like 14 as there are dark and light sections to each layer, almost tiger stripe like, and very evenly sized. 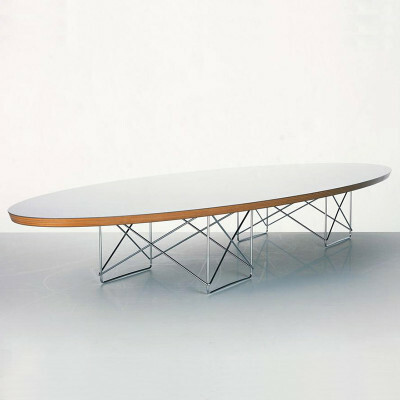 The second generation begun when the table was re-commissioned in 1994 until present. 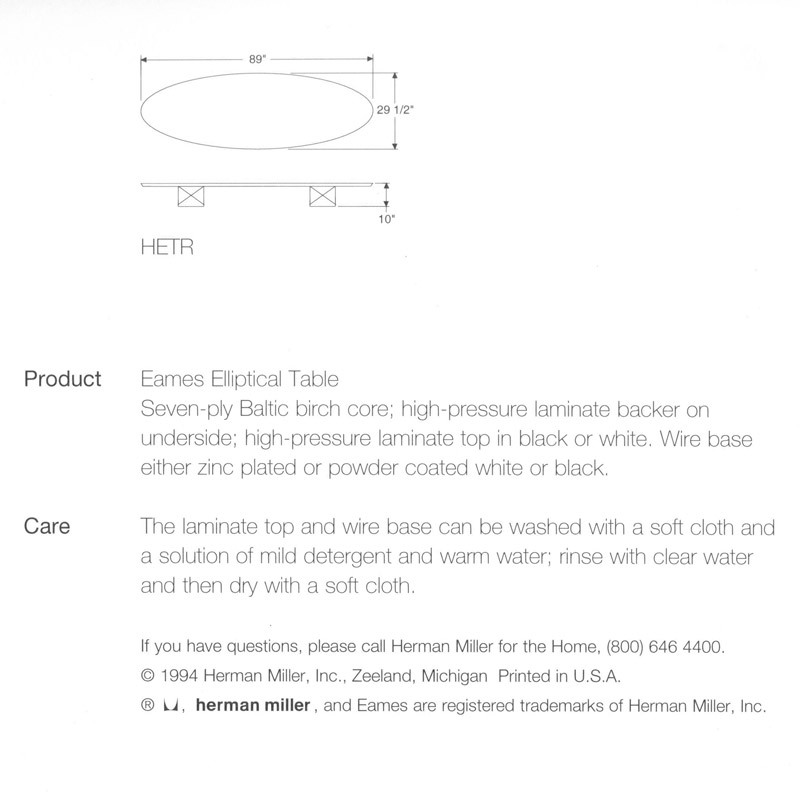 A white laminate option was added for purchase of the second generation ETR tables. The table can be found with varying labels which will define the age, these include the black strip, silver strip, oval and rectangular labels. Is my Eames ETR plywood coffee table authentic? What makes it valuable? 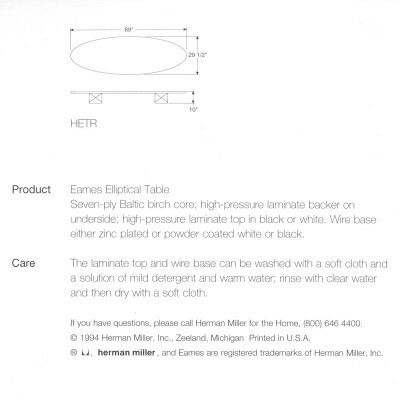 All ETR tables made by Herman Miller would have originally had a label to denote this on the underside of the table top. Labels will always provide the most efficient way of authenticating the table. 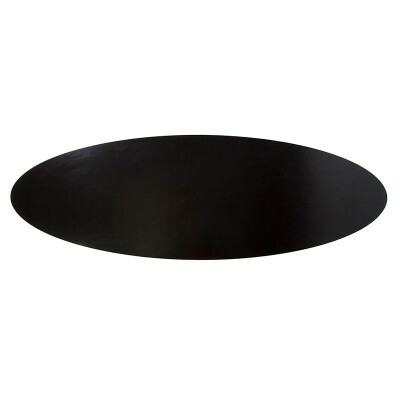 There have been modern reproductions of this table, which will more resemble the second generation. In the absence of a label, count the plywood layers which should be 7 (14 stripes). Many reproductions make the mistake of not having the correct number of layers. Should it have 5 layers then ensure they are not evenly cut as the 1st generation tables were not. Check that the base is not cheap chrome, anything too shiny is a big giveaway, unless it is of course a very new piece. 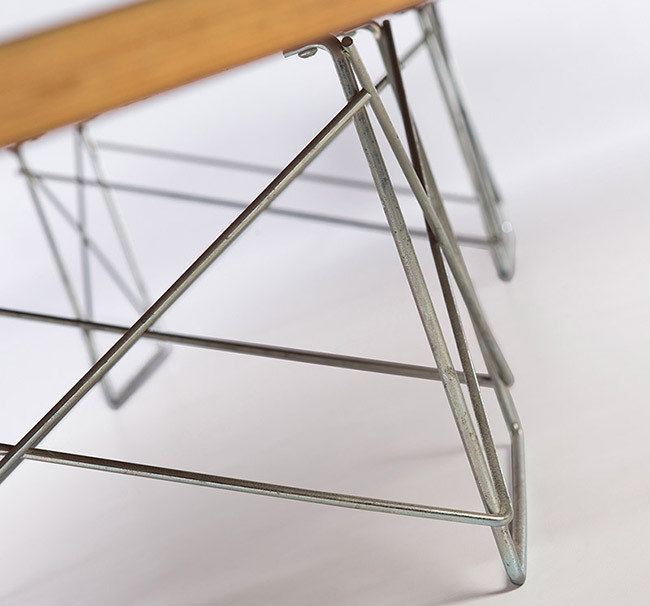 With a clear distinction in age between the first and second generation (a gap of at least 30 years separates them) early Eames ETR tables will always yield the highest value as they are quite rare compared to the post 94 second generation. 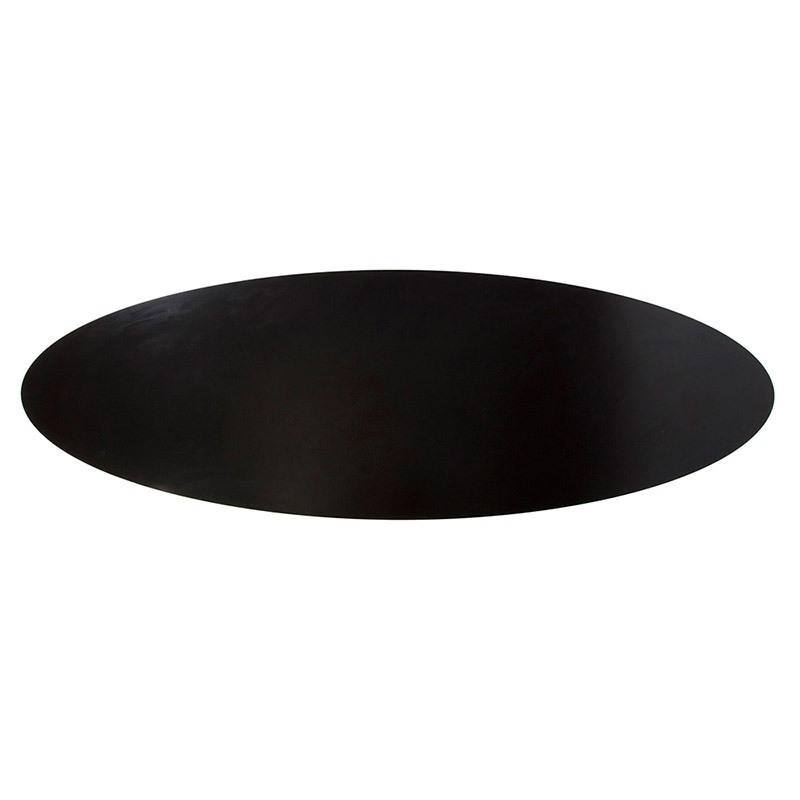 Condition is the second most important driver of value and these tables (due to their large size) were susceptible to knocks and damage caused by everyday use. Whether 1st or 2nd generation, check the top where it meets the edge for crack and dinks and avoid if there is significant impact damage or lifting of the ply there.